What is Class IV Laser? A Class IV Laser is the strongest most effective Laser on the market today. It works by delivering energy deep into tissue to boost your body’s own natural ability to heal. This is a completely drug-free, surgery-free, and pain-free treatment. Laser Therapy is clinically proven as an effective treatment to reduce pain and inflammation while treating a variety of both acute and chronic conditions. A Laser Therapy session is quick and painless, and most patients report a reduction in symptoms immediately following treatment. The body also continues to benefit from the effects of therapy for 24 hours after treatment. What does Class IV mean? Class IV Lasers are the strongest Lasers on the market. 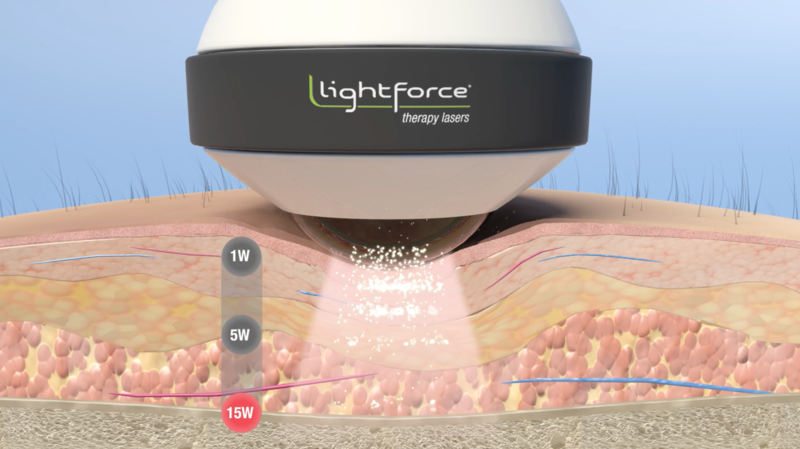 Many clinics will simply advertise their “Laser” while many are using Class III Lasers, an older less powerful version. We use only the most up to date, and best possible technology to help eliminate your pain. That is the Class IV Laser difference.